Tucked away in the Blue Ridge Mountains in the south west corner of Virginia along the Blue Ridge Parkway near the small hamlet of Meadow's of Dan you will find a unique mountain top oasis. Primland, a 12,000 acre retreat, offers the pinnacle of rustic refinement where guests can hike, hunt, ride, enjoy a world class spa and much, much more but the highlight of the property (for a golfer that is) is the stunning Donald Steel designed Highlands Course. Steel, best known to Ontarian's for his masterful design at Red Tail, routed the course on a plateau 3,000 feet above a rock studded gorge that offers spectacular vistas in every direction. Primland, however, is not just all about golf. 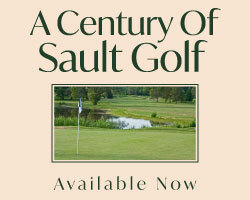 A variety of getaway, spa, hunting packages and golf packages are available. There is plenty of action to be had by all ages. 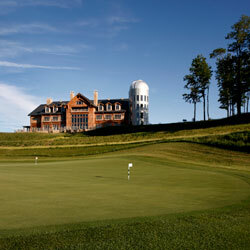 The Accommodations: The accommodation options at Primland are varied and outstanding. The 72,000 square foot Lodge offers guests a refined experience featuring 26 distinct guestrooms and suites. The Lodge is crafted with Tennessee stone, cedar-shake siding and the interior flooring is finished with reclaimed oak from old tobacco barns. Adjacent to the lodge sits three fairway cottages situated along the 10th and 18th fairways and feature fieldstone fireplaces, cathedral ceilings, hardwood flooring and stunning views of the valley below. Dotted around the property you will find ten unique mountain homes with many of them perched on the edge of the mountain offering spectacular vistas of the neighbouring Blue Ridge Mountain or located in the woods offering the solitude of secluded forest scenery. 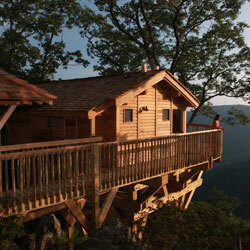 However, the most novel lodging experience on site is the Golden Eagle Tree House. The Tree House sits adjacent to the 4th green and is situated in the limbs of a majestic oak tree on the precipice of the gorge overlooking the Dan River some 2700 hundred feet below. The building was crafted using a binding system that allowed the builder to set the tree house without driving a single nail in to the old oak. The amenities -outdoor: Outdoor activities on Primlands, 12,000 acres of mountain top terrain are plentiful and there is something for everyone: hiking, bird watching, mountain biking, ATV and horseback trail riding, seasonal hunting, game trail virtual simulation hunt, sporting clay, tree climbing, fly fishing, kayaking, tennis, geocaching and, of course, golf. The amenities -indoor: For all the outdoor activities that Primland has to offer there is no shortage of indoor fun. On a rainy day the indoor pool, state of the art fitness centre, seven European treatment room spa, 15 seat theatre and a games room offering Wii, Play Station, Xbox, billiards, table tennis or the three HD TV's will keep both parents and the kids busy. The Spa: The 8000 square foot Spa at Primland employs a European approach to wellness blended with the holistic remedies used by Native Americans. This affords the Spa the ability to offer a variety of unique healing and rejuvenation services. The Spa features four treatment rooms, each dedicated to a different healing experience, a pilates and yoga studio, a fully equipped technogym fitness area, a manicure, pedicure and hair-styling room, a relaxation area where guests can savour herbal teas, healthy drinks and snacks. The men's and ladies locker room each contains a Turkish bath while the Unity suite offers a relaxing environment for couples. The lodge's indoor pool is also located in the spa and overlooks the tenth fairway. Carved from Virginia granite with a gently cascading waterfall the pool offers a chlorine free swimming environment. The Observatory: Located in the silo attached to the main lodge is a giant Celetron 14" telescope that allows guests to view galaxies millions of light years away. Star gazers are offered two unforgettable deep space experiences. Tour the Universe is a nightly educational program lasting up to 2 hours where one will learn about stellar evolution and have a chance to get up close with distant constellations and planets light years away using the telescope. A virtual tour is available on evenings when the stars are hiding. The Starwalk session is a less detailed program where stargazers are giving the opportunity to have a glimpse through the telescope and discover the heavens above. The Dining: There are three dining options on site. Elements and The 19th Pub are located in the lodge while the Stable Saloon is apart from the lodge a few minutes down the mountain road set in a pastoral setting. Elements is the formal fine dining option offering new American cuisine featuring local ingredients and produce while the 19th Pub offers a casual pub menu and a bar well stocked with your favourite draught beers and single malts. The Stable Saloon is quartered atop the old stable building and is ideal for family groups, private parties and events. The Golf: One of the challenges you will need to overcome at the Highland Course is the visual distractions of the spectacular scenery that bombard your senses as you work your way around the course. The course offers six sets of tees ranging from 5348 to 7053 yards so pick a distance that is appropriate for your game. If you try to bite off more than you can chew you are in for a long day. Opening with three par 5's, two par 3's and a short risk reward par 4 you will need to get your birdies in early because from the seventh tee onwards you will be hanging on for dear life. The front nine is more dramatic with its spectacular views and elevation changes while the back side is a truly stern test of golf. 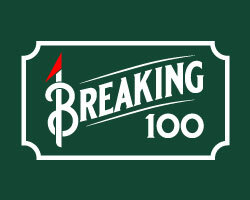 Surviving the long par 4 10th and the 12th, 13th, 14th, par 3, par 5, par 3 stretch is the key to outlasting the back nine. 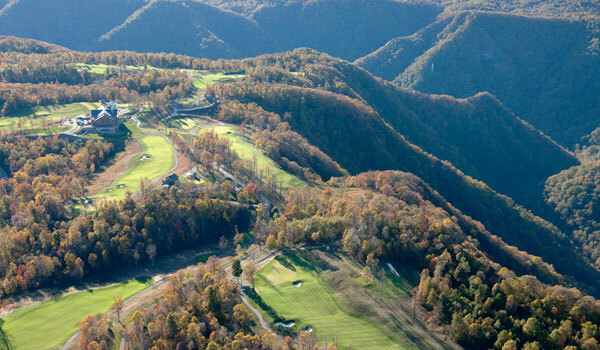 If you are looking for a truly unique mountain golf experience Primland may be second to none. Donald Steel may have said it best himself, "It may be a hard place to get to, but it's a tough place to leave"!